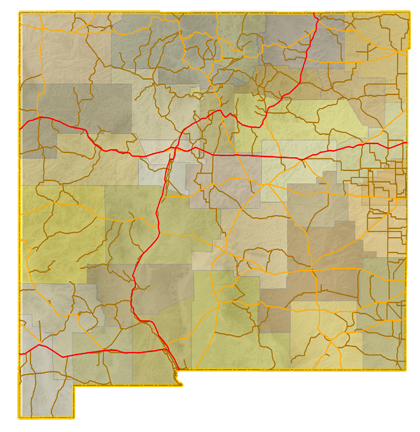 Sitemap to all highway guides covering roads across New Mexico. Photography contributions by Alex Nitzman, Andy Field, Brent Ivy and Kevin Trinkle. Many thanks to Kevin Trinkle and Phillip Dennis for accompanying us on these roadtrips through the Land of Enchantment.